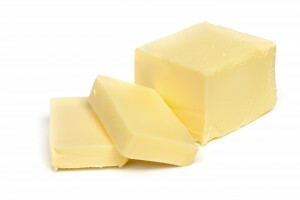 Golden Glen Creamery of Washington state is recalling butter, produced on November 2, 2011, as it has the potential to be contaminated with Listeria monocytogenes, an organism which can cause serious and sometimes fatal infections in young children, frail or elderly people, and others with weakened immune systems. 21 – 4 oz. packages of Herbes de Provence Butter were available at the Whole Foods Market in Redmond, WA. 68 – 4 oz. packages of NW Mushroom Trio Butter were available at the Whole Foods Market in Redmond, WA, and at various Metropolitan Market locations in Washington. The recalled products were distributed between November 7, 2011 and November 28, 2011, and are in circulation to date. A surveillance sample, collected and analyzed by the Washington State Department of Agriculture was found to be positive for Listeria monocytogenes. The company has ceased the production and distribution of the product while an investigation as to what caused the problem continues.